U.S. proved oil and natural gas reserves hit an “all-time high” – about double their levels from a decade ago – thanks in large part to continued development and exploration of shale and tight oil formations nationwide, according to newly released data from the Energy Information Administration. 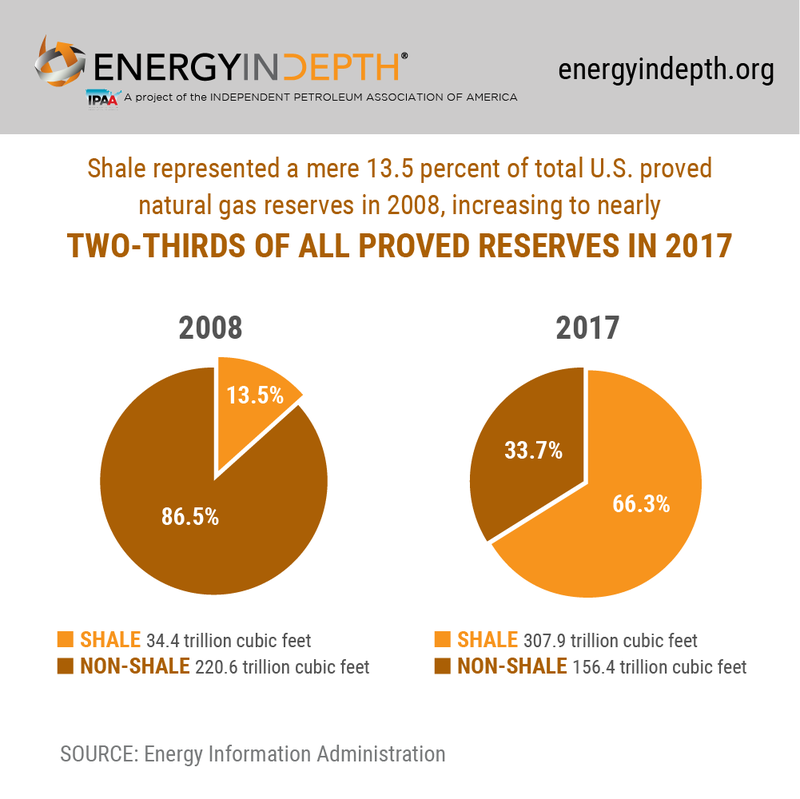 The percentage of natural gas proved shale reserves versus other formations, in particular, increased significantly in the past decade. The continued exploration of these formations has led to a greater understanding of their geology – and higher production numbers as a result. EIA estimates production of natural gas from shale increased 9 percent—from 17.0 trillion cubic feet (Tcf) in 2016 to 18.6 Tcf in 2017. Similarly, the development of shale and tight oil formations since 2008 has reversed the standing of American energy, and propelled the United States past Russia and Saudi Arabia as the world’s leading crude oil producer as of this year for the first time since February 1999. According to EIA, as of December 31, 2017, tight plays accounted for 48 of all U.S. crude oil and lease condensate proved reserves. From 2016 to 2017, the proved crude oil reserves in these formations increased 28.4 percent, with the largest gains coming from the Permian Basin in Texas and New Mexico. The United States beat its 1970 record of 39 billion barrels of proved crude oil in 2017. Gains in crude oil reserves came on the back of exploration in the Southwest region. Last year, the Wolfcamp/Bone Spring shale play in the Permian Basin surpassed the Bakken/Three Forks play in the Williston Basin to become the largest oil-producing tight play. And 2017 reaffirmed everything really is bigger in Texas: The Lone Star state added 3.3 billion barrels of crude oil and lease condensate proved reserves, the largest net increase of all states. The rise was “a result of increased prices and development in the Permian Basin of the Spraberry Trend and the Wolfcamp/Bone Spring shale play,” according to EIA. New Mexico, meanwhile, produced the next largest net gains in crude oil and lease condensate proved reserves, with a 1-billion-barrel increase over 2016. 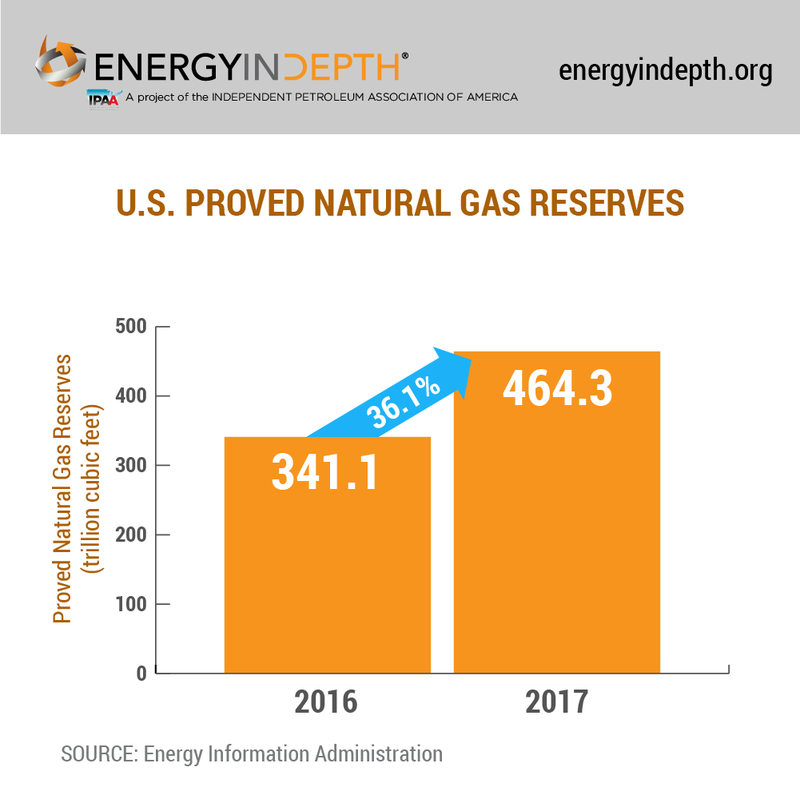 U.S. proved natural gas reserves grew 19 percent from 2014 to 2017, when the previous record of 388.8 trillion cubic feet was set. In fact, the United States – already the world’s leading producer of natural gas – is projected to supply 40 percent of total global gas growth to 2025, according to the International Energy Agency’s World Energy Outlook. 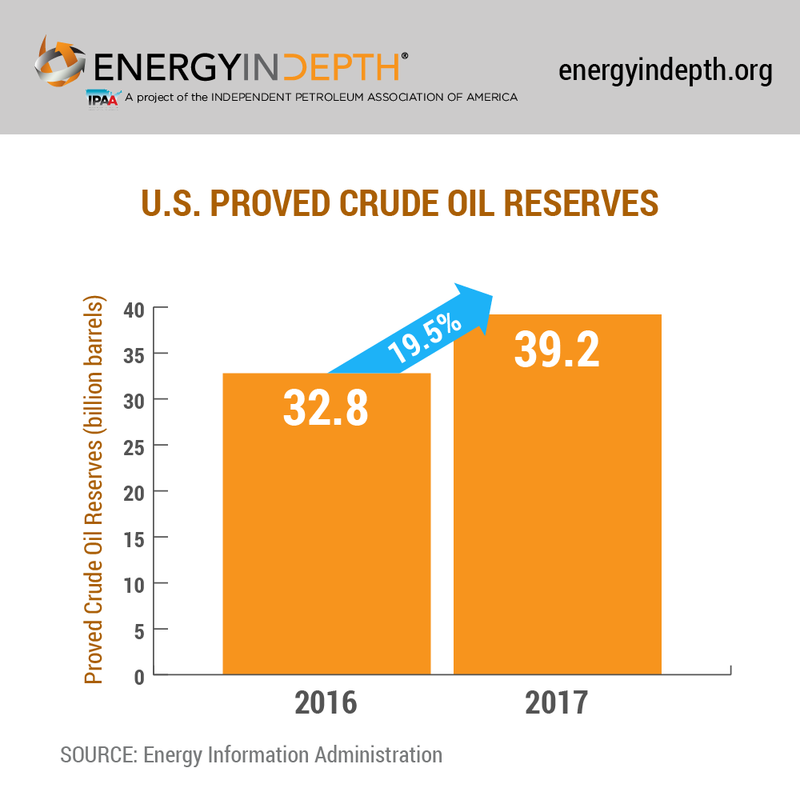 The United States has more proved reserves than ever before, and is producing oil and natural gas at levels unfathomable a decade ago. As the new data show, our geology is providing a clear rebuke of any sort of “peak oil” narrative.